As a person involved in rescue, it is offensive that you consider rescuers in competition with breeders. Since many of the purebred rescues have dogs that you "responsible" breeders would not take back under any circumstances, or came from mills and purchased in retail stores (and yes, I know the difference and do not think that all breeders are puppy or kitten mills - but if the shoe fits...), and we have saved them from death at the shelter, you have a real pair of brass ones stating we're in competition. Rescues have applied for 501c3 status and only "sell" dogs to support the vetting that took place and to care for the other dogs in the group's care. To what media reports do you refer that make the statement that there are as many abusive rescues as breeders??? I agree that these changes might make it difficult for some breeders, but mills should not be licensed and monitored - they should be SHUT DOWN completely. Oh, and rescues transport dogs (usually putting together legs of a trip with trusted transport individuals) without meeting adoptive owners ONLY after communications and applications, thorough reference checks, vet checks, home checks by other rescues in the area, and they will ALWAYS take the dog back in its lifetime for any reason. You still make statements and accusations like the snobby breeder we've come to read. I will never buy while others die (about five million a year), so my right to ownership will never be affected. If you're still confused about what a mill is compared to a responsible breeder, visit Freedom Rescue in Ohio. They purchase dogs at auction because the breeding operations there are so shabbily run (puppy mills), they don't know who the sires are, and without a broker, will shoot, drown, and abandon to starvation the pups. Just found a family to adopt a beautiful KCC pup from there. Rescues do the dirty work that many of you have left behind for someone else to clean up. Come down from your ivory tower once in a while and visit some shelters (NYC ACC is really paradise) to get your thoughts back into perspective, and stop stirring up the pot that you're being targeted (and every pet owner) every time some regulations might be coming down the pike to monitor the irresponsible trash that you guys let sift through the cracks. Sorry, Ellen, as both a breeder AND a rescuer, I think you are terribly wrong and quite offensive. Rescues will NOT be able to continue operations as they have. And as a rescuer, yes, I have participated in the long-range transports but you are MISSING THE POINT. You will no longer be able to "adopt" out rescues that have not PHYSICALLY entered the premises where the dog is kept. These regulations WILL affect you and face it, there ARE shelters that are substandard. I think perhaps you should read the proposed regulation rather than attacking a blog post trying to make sense of it. This regulation will either shut down or make illegal all rescues such as you have described. Your comment would be better posted to the government's comment site. @ Hound - rescues and shelters are not the same thing if that's what you're implying that there are substandard ones. MANY shelters are substandard and why No Kill is a hot topic and making much progress. Some people drive nine hours to get a dog out of NYC ACC, so having to go get a dog from a rescue personally (which many require anyway - like Freedom Rescue) won't be a problem for someone who really wants the dog. There will be other revisions made to this proposed legislation, and it will not affect rescues like you think it will. There are rescues in states now, like MA, that cannot take in dogs from other states without having isolation facilities. There will always be rules, and because of irresponsible, greedy humans, it looks like there will always be rescues. @ Bealsie2 - You can interpret this as many different ways as you like, but the DFNY blogger is mostly concerned with how many breeding females, types of animals, and the huge cost of upgrading facilities...nothing at all to do with rescues except to misrepresent them. I attacked no one; I only responded to an offensive comment initiated by the blogger. If by making sense of it you mean some of the back-handed comments made regarding rescues and the change in the number of breeding females, then the only sense made is for his own concerns about his business. Hysteria and propaganda once again because some regulations are being proposed. I see it all the time on Yahoo groups. My thoughts have been sent to the H$U$ and ASPCA regarding their misplaced concern and promotion of legislation on licensing the same puppy mills they have sworn to flush out and close down with the public's hard earned monetary donations. Those words do not belong in the same sentence - puppy mills and licensing. And by the way, Ellen, whether you like it or not, rescues are in competition with breeders. They sell essentially the same product to essentially the same customers. Which means that treating one seller differently under the law - especially a federal law - is going to come up against constitutional issues, particularly with respect to the commerce clause. And especially since you yourself have stated that rescues transport animals across state lines - certainly an activity subject to regulation as interstate commerce. Bealsie2 - You've either lost your mind or the head in which it resides is stuck in a place where there is no oxygen or sunshine. For those that still do not understand the difference: Rescues do not SELL animals (or "product" as so nicely put); they find homes for, or re-home animals that are saved from many types of situations including abuse, kill shelters (an oxy-moron), owner surrenders, re-homing, tenant/landlord issues, etc. for an adoption fee that covers the cost of vetting that animal (vaccines, lab work, spay/neuter, microchip) and helps provide for the other animals in the group's care. There is no monetary business or personal gain. Non-profit (rescues) vs. Profit (breeders). In essence, the rescuer’s work is much harder with no monetary gain. The satisfaction is in knowing you helped a dog, cat, goat, or a horse out of a bad situation and helped them and a family find each other. Whether you like it or not, we save a lot of the ones you sell. Maybe this legislation will give even more attention to shelter dogs that can be trained to do service work, and I doubt the intent of the proposal is to limit the genetic diversity among breeders - or keep Muffie from finding her perfect field trial dog. I also seriously doubt this will affect the foster network web and fund raisers of rescues. I just don't see it. 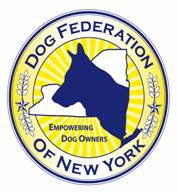 There is actually nothing wrong with bringing down the number of breeders (limiting) so we can get a handle on all the animals being killed daily in the shelters - 25,000 yearly in NYS alone. Why make more when thousands are needlessly killed every day? Let's all get in touch with people from the USDA and bombard them with requests to please clarify each proposed item change and how it exactly affects all of us. So, rescues that exchange pets for cash in order to cover their expenses and in some cases pay heft salaries and cover bennies for employees, purchase property and whatnot are good good good. But breeders who exchange pets for cash in order to cover their expenses and meet their payrolls and etc. are bad bad bad. Interesting dichotomy. One that I'm pretty sure the IRS couldn't care less about. If you hand over something in exchange for a consideration, you've sold it. But what about a "rescue" like the Animal Rescue Fund of the Hamptons, net worth a cool $13+ million as of 2009, up from $8.6 million in 2008 ? Still doing the good work and "cleaning up the messes" of nasty "breeders" ? Or is something else going on in the "rescue" community ? Cause that's a whole lotta money, and they are NOT spending it all on chewies for the doggies. Interesting discussion with a Rescue person not wanting to be in the same category as a breeder. The government and the law does not see the difference. They are not animal people/dog people. If you sell something and are paid for it then it does not matter in this rule/law whether you make a profit or not. It does not matter whether you recover your expenses or not. This is going to affect far more of us than just breeders. And like it or not, with a common enemy, it is better to remember we are on the same side. So Ellen, I take it you are one of those ethically superior rescues like the one that transported a load of dogs across state lines without proper vet certificates - providing dogs to places like the shelter where I volunteer that has usually far fewer dogs than can meet the local demand - the rescue that dumped dogs requiring hundreds of dollars of vet care and round the clock nursing on the morally bankrupt staff of my abusive local shelter. By the way, the fly-struck little dog who was being eaten alive from the inside out by maggots is going to make it thanks to the satan-worshipping shelter staff. No, these morally superior "rescues" have no need of oversight or regulation. Many rescues have higher adoption fees than any retired champion I rehome. Many rescue organizations take in far more money per year than I do. What about foster homes selling pets for any amount of money? They are not charities. They traffic in animals. Just because the intention is more altruistic does not make to bottom line any less. Breeders and rescuers still sell dogs. An "adoption fee" is a sales price. Period. If you want to end abandoned animals get at why they are abandoned. Training? Discriminatory housing? Spay and neutrr fees too high? Etc. Responsible breeders do not place dogs in rescue. Irresponsible owners do. Well, as you are so quick to keep pointing out time and again when comparing good breeders to mills, there is good and bad in all organizations. I personally do not associate with, or know of any, rescues that are raking in tons of dough and living high on the hog. I only know of ones that have no compensated staff or board, struggling with bare bones donations and working endlessly and tirelessly trapping and vetting cats, pulling dogs to foster and fund raising and holding adoption events...like REAL rescues that care about the animals. They don't have time to sit on here and debate with you because they're too damn busy saving lives and planning events to get animals into homes and stay alive. Most have spay/neuter programs to help people who want to do the RIGHT thing, and Out of the Pits rescue funds a Fix-a-Bull program so anyone with hardship can s/n their pit bull in the Capital Region for free. I do not know anything about the rescue in the Hamptons, so I cannot comment at this time without looking into them. At quick look, they look like they have quite the organization and staff. So, to keep good people you need to compensate. And, if they're saving animals, kudos to them for having a great thing that works - like Bide-a-Wee and NSAL America. They are not your local foster-based rescue like I deal with. They do not think they are, but perhaps they are, ethically superior because they are the real deal and the only type I wish to assist. Ellen, you can assist whichever organization you choose and for whatever reasons make sense to you. The point here is that the proposed changes to the USDA regulations will negatively impact them all, and doubtless shutter many. Why don't you stop trying to kill the messenger and look at the proposal? Time and tide. . . I hope you will make these coreections in the blog post. May we know who the author is? I was disappointed at finding no credit. This article is a heroic effort, the most comprehensive in circulation, and I extend compliments and gratitude to the person who wrote it. Thank you for the correction! We apologize for the oversight and have updated the piece. The wonderful Susan Beals is the author, by the way. I am frankly amused that the ethically blind rescue folk are finally going to get to stew in the sauce that they've made for us "greedy breeders" ! The enforcement authorities and the courts will not be making any exception for rescuers, and if they do, it will become a challenge, since it would be unequal treatment under the law. A sale is a sale is a sale, and it doesn't matter what you call it. If you collect money for the transfer of a pet and call it an "adoption fee", it won't pass muster with a judge who's worth his / her salt. Unless you're going to support your rescue operations 100% with donations completely unassociated with the transfer of an animal, or simply decide to skirt the law, you rescue people are going to be facing a total FAIL scenario! You still haven't figured out that H$U$ has it's own agenda, and doesn't really care about you and your rescues. Rescues have been jealously trying to close down purebred sales forever, and using a lot of dirty tricks. Now, they'll get some of their own medicine. I predicted this almost ten years ago, and nobody believed me. Wake up, and smell the coffee!